In this group class, children will be working together for a common goal, taking turns making decisions, creating a plan, and helping each other accomplish a task by problem solving. We will focus on reciprocal interactions, initiating tasks together, making comments during play and conversations, and responding to unexpected events (e.g. a child does not get the outcome they expected). Kids will learn how we work better as a group than we do alone. Groups are designed for children in elementary school – this includes all children –typically developing children and children with needs (speech, language, fine motor, gross motor, or cognitive delays). At our Overland Park location, our elementary group sessions are led by Marena Mitchell, a speech-language pathologist and three group assistants. We have a 1:4 adult/child ratio. At our Gladstone location, our elementary group sessions are led by Keelin Althoff, a speech-language pathologist and a group assistant. ​The total cost for the 8 week spring session is $360. The total cost for the 9 week summer session is $405. Missed classes are not reimbursed. Once classes begin, refunds are not issued. Gluten and casein free snacks are provided for and dietary restrictions are honored. 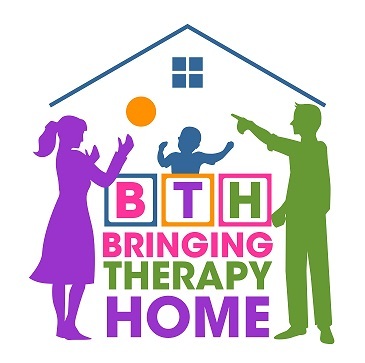 ​If this is your child's first time attending a group at Bringing Therapy Home, you will be contacted by one of the facilitators to discuss your child’s strengths and specific needs of your child. This information will be utilized to plan and develop the activities used for the group sessions. You do not need to receive current services from Bringing Therapy Home to register for the group classes. Group classes are open to the community.